Pakistanis treasure house of Muslims architecture.Lahore, the cultural hub of Pakistan, is situated along the bank of RaviRiver. The city has witnessed the rise and fall of many dynasty like Ghaznawis (1021-1186 AD), Ghoris (1186-1202 AD) and slaves (1206 – 1524 AD) before the arrivals of the Mughal dynasty (1524-1764 AD). 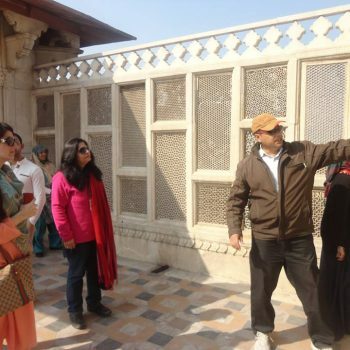 All the important monuments like Royal Fort and the Badshahi Mosque, Wazir Khan’s Mosque, Tomb of Jehangir, Asif Jah, Noor Jehan and Shlimar Gardens, Hiran Minar etc., were constructed during this period. 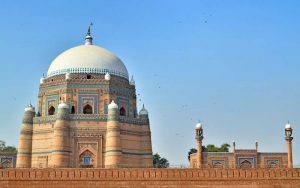 On the other hand, the shrines mosque & forts located in & around Multan and Bahawalpurare masterpieces of the early Muslim architecture. 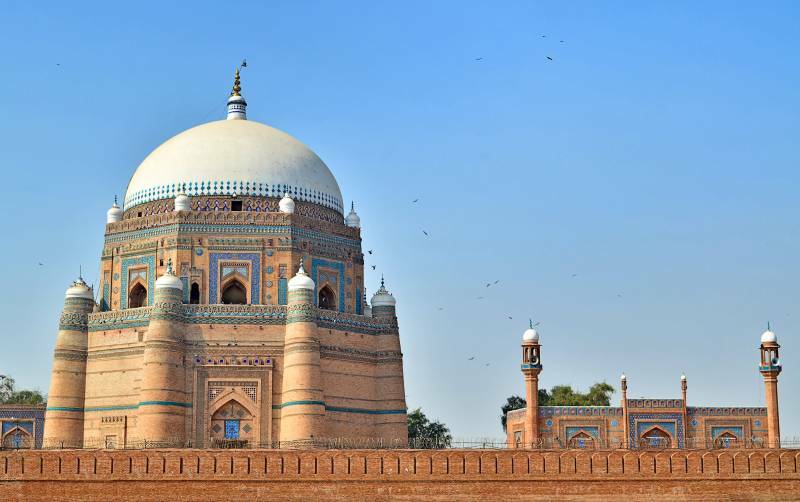 Some important building are; fort at Multan ad Derawar (Bahawalpur), shrine of Shaik Bahaudin Zakaria, Shah Rukhne-e-Alam, Hazrat Shams Tbrez at Multan and tomb of Bibi Jiwandi at Uch Sharrif near Bahawalpur. The tombs at Chakundi, 27km out of Krachi, the remains at Banbhore (64 km from Karachi) and the necropolis of a million graves scattered over an area of 10 sq.km at Makli hills, near Thatta, together with the Shah Jehan mosque of Thatta, are exquisite specimens of Muslim architecture, stone carving and glazed tile decorations. Day 01: Islamabad: Arrival at Islamabad, after transfer to hotel, half day tour of Islamabad, including Lok Virsa Pakistan monument, Shakarpara Hill before sunset and watch twin cities Islamabad and Rawalpindi bird watching, the garden in which Pakistani and allied countries’ politicians erected trees, a view of Rawal Lake and many fountains. 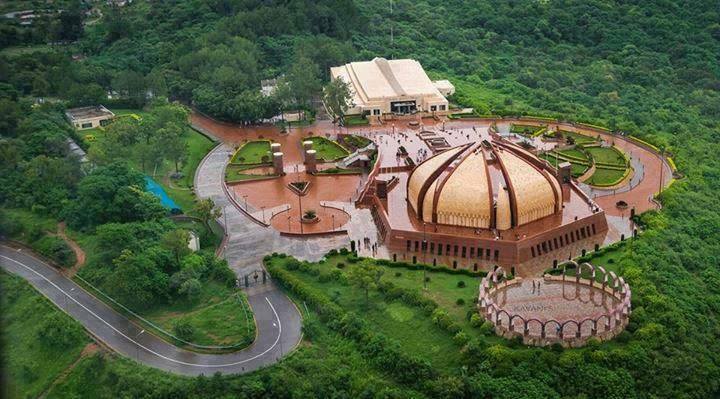 After the museum visits, Faisal Mosque whose architect was a Turkish architect, Vedat Dalokay, The construction of the mosque is financed by Arabic king Faisal, that’s why his name was given to the mosque in honor of him.Islamabad is very young and modern city. When Pakistan was founded, the capital was Karachi which was more difficult to defend. Following the visits, transfer to the hotel. Dinner at hotel. Day 02: Islamabad – Taxila – Rawalpindi: Following the breakfast, drive to Taxila. It’s an important city of Budhism period and is in UNESCO World Heritage List. After seeing the ruins, visitTaxilaMuseum. Lunch inRawalpindi. After the lunch, free time in bazaars ofRawalpindi, visit old Raja Bazaar, truck decoration point and Saddar Bazaar (cantonment area). 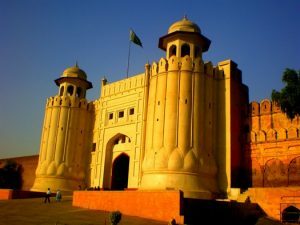 Day 03: Rawalpindi – Rohtas Fort – Lahore: Following the breakfast check-out from the hotel. First destination is Rohtas Fort which is in UNESCO World Heritage List. The fort is built by Sher Shah Suri in purpose of defending the city against Mughals. The fort is still intact. It reflects the early Islamic architecture. After visit Lunch will be serve at Dina and will have continue drive to Lahore, transfer to hotel. Day 04: Lahore – Following the breakfast full day tour in the cultural capital of Pakistan, Lahore. First destination is old Lahore city which was walled during Mughal Empire reign. Lahore Fort is our first visit. The fort is in UNESCO World Heritage List along with Shalimar Gardens. We visit the fort and its places available in and around it. After visiting the fort, we will see Badshai Mosque, the 2nd biggest mosque of Pakistan and 5th biggest mosque in the world. In its architecture Islamic, Persian,Central Asia and Hindu features can be recognized. Later, visit to Iqbal Park and see Minar-e-Pakistan which was erected in honor of the date 23 March 1940 when the independence Pakistan idea was declared officially for the first time after the meeting in the park. Lunch time after the visits. Later, visit Wezir Khan Mosque. The mosque is construsted by Shah Jahan’s Prime Minister ilumiddin Ensari. After the visit, continue with Lahore Museum. We will have the possibility of seeing Budhist sculpture of Ghandara art and manuscripts, miniatures, rugs from Islam period. After the museum visit, we will walk in the Anarkali. The bazaar has been active for 200 years. 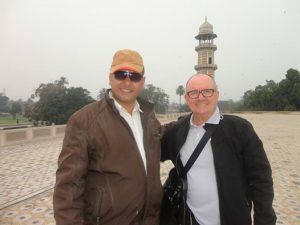 Day 05: Lahore – Following the breakfast, another full day tour of Mughul monuments, the tombs of Jehangir & Noor Jehan. After lunch walk along the mall road to witness the colonial building, drive to Shalimar garden build by emperor Shah Jehan and to Waga border (Pakistan &India) to witness the flag lowering ceremony. Overnight stay at hotel. 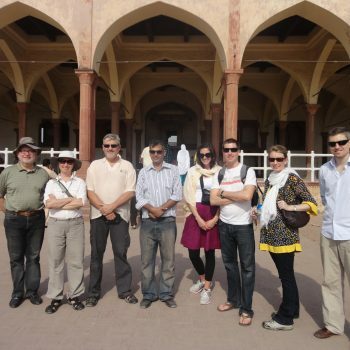 Day 06: Lahore – Harappa – Multan: Following the breakfast depart from the hotel forHarappa which is on our way. We will have information about the social life, economical system and writings ofHarappa. After visiting Harappa, drive toMultan for accommodation. Dinner at hotel. Day 07: Multan – Bahawalpur: Following the breakfast, start of the tour in Multan.Multan is in such a strategic point of trade ways. It’s an important industry city dating back 2000 years ago. City is famous with its shrines. The most famous of these are the shrines of Bahaddin Zakariya, Shems Tebriz and Shah Rukhn-e-Alam. We will visit these 3 shrines and then we will have free time in Hussein Agahi Bazaar and than continue our drive toBahawalpur. Overnight stay at hotel. 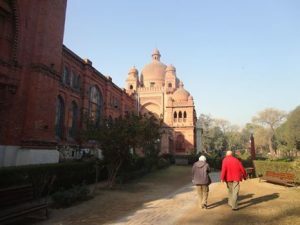 Day 08: Bahawalpur – Multan – Lahore: Following the breakfast, start Bahawulpur tour. Bahawulpur is such a peaceful city in which the transportation is mostly made by bicycle rickshaw, has tree-lined streets, large houses with verandas. 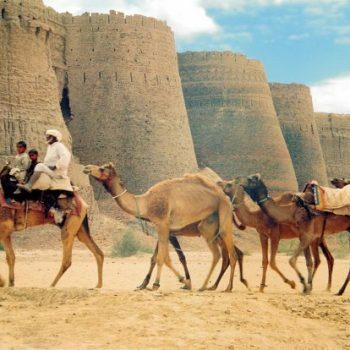 Our first destination is Derawar Fort and the tombs around it in Cholistan Desert. After the half-day tour, return to Bahawulpur for lunch. 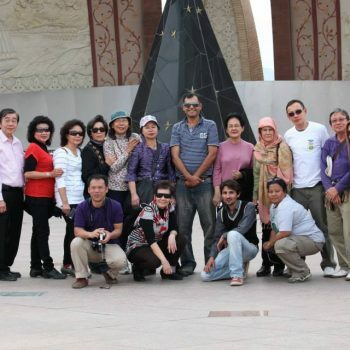 After the lunch visit to Bahawulpu rMuseum. Later, free time in Bahawulpur Market. Overnight stay at hotel. 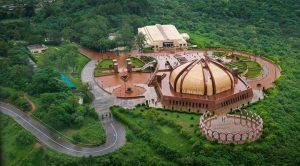 Day 09: Lahore – Khewra Salt Mine – Islamabad: Following the breakfast, we will drive toIslamabad via Motorway, en route we visit world’s second largest salt mines at Khewra, after lunch we will continue our drive toIslamabad for overnight stay. Day 10: ISLAMABAD – Transfer to Islamabad International Airport. From peace and serenity of Southern Pakistan to the hustle and bustles of “modern” trends, you say Khuda Hafiz, the typical farewell, as you depart after a tour into Shangri-La.